Isozaki completed his schooling at the Oita Prefecture Oita Uenogi High School (erstwhile Oita Junior High School). 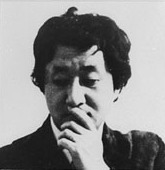 In 1954, he graduated from the University of Tokyo where he majored in Architecture and Engineering. This was followed by a doctoral program in architecture from the same university. Isozaki also worked under Kenzo Tange before establishing his own firm in 1963. Isozaki's early projects were influenced by European experiences with a style mixed between "New Brutalism" a "Metabolist Architecture" (Oita Medical Hall, 1959-1960), according to Reyner Banham. His style continued to evolve with buildings such as the Fujimi Country Club (1973–74) and Kitakyushu Central Library (1973–74). Later he developed a more modernistic style with buildings such as the Art Tower of Mito (1986–90) and Domus-Casa del Hombre (1991-1995) in Galicia, Spain. In 2005, Arata Isozaki founded the Italian branch of his office, Arata Isozaki & Andrea Maffei Associates. Two major projects from this office include: the Allianz Tower CityLife office tower, a redevelopment project in the former trade fair area in Milan, and the new Town Library in Maranello, Italy. Despite designing buildings both inside and outside Japan, Isozaki has been described as an architect who refuses to be stuck in one architectural style, highlighting "how each of his designs is a specific solution born out of the project’s context." Isozaki won the Pritzker Architecture Prize in 2019. The ECC Award in 2012 for his Venice installation Zhongyuan. ^ a b c Goodwin, Dario. "Spotlight: Arata Isozaki". ArchDaily. Retrieved 4 March 2019. ^ Allen, Katherine. "Arata Isozaki Named 2019 Pritzker Prize Laureate". ArchDaily. Retrieved 5 March 2019. ^ Leardi, Lindsey. "Arata Isozaki on "Ma," the Japanese Concept of In-Between Space". ArchDaily. Retrieved 4 March 2019. ^ a b c d e f g h i j k l m n o p q r "2019 Pritzker Architecture Prize Media Kit" (PDF). Pritzker Architecture Prize. The Hyatt Foundation. March 2019. Archived (PDF) from the original on March 7, 2019. Retrieved March 6, 2019. ^ "ECC AWARD". www.europeanculturalcentre.eu. Retrieved 2017-07-11. ^ "Time-Space-Existence in Venice". www.world-architects.com. Retrieved 2017-07-11. ^ Frearson, Amy. "Qatar National Convention Centre by Arata Isozaki". Dezeen. Retrieved 4 March 2019. ^ "ALLIANZ Tower / Arata Isozaki + Andrea Maffei". ArchDaily. Retrieved 4 March 2019. Wikimedia Commons has media related to Arata Isozaki. This page was last edited on 12 March 2019, at 20:47 (UTC).